The temperatures are dropping and the humidity is (finally) easing off, so what better time to get into cycling? If you’re looking to buy your first set of wheels or just get an upgrade, we’ve got you covered with our guide to Dubai’s bike shops. Ask any Dubai veteran cyclist where they go when they’re in need of a new set of wheels or just some bike maintenance, and chances are they’ll mention Wolfi’s. This Sheikh Zayed Road store is a Dubai institution that always seems to be buzzing. The owner Wolfgang Hohmann (Wolfi for short) describes it as being like a candy store for cyclists, and he’s not wrong. This is our pick for serious bikers with cash to splash on the latest, priciest models and leading brands. Go here because: Wolfi and the rest of the staff bring serious expertise and experience to Dubai, not to mention high-end products. They’re also a good point of contact for getting involved with the Dubai Roadsters, a well-established cycling group with regular meet-ups. The Liv brand was launched by Bonnie Tu, aka the Godmother of Cycling, and Dubai’s BoxPark store and is the first of its kind in the Middle East. You can expect to find road bikes and mountain bikes ergonomically designed to suit the female form, as well as models with buggies for cycling with your sprogs. They’ve recently launched Tech Tuesdays, an informal evening dedicated to teaching women about cycling, where you’ll learn everything from how to change a tyre to how to fix a puncture. Go here because: At Liv, their mission is to get more women involved in cycling, so you can be sure that they take all the intimidation out of the sport. They even offer lessons for absolute beginners. 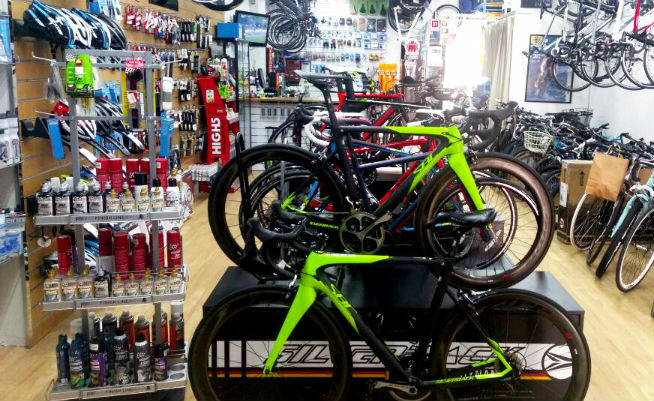 The Cycle Hub has recently had a facelift but continues to offer the same high-quality service. They specialise in, well, Specialized bikes, as well as harder-to-find brands such as Pinarello. They also offer bike repairs and sell plenty of activewear and accessories. Go here because: It’s very beginner-friendly – the staff know their stuff and you can tell that this is a store run by bike lovers. They also organise a Saturday ride from Al Qudra Cycling Track with groups based on their pace, with one beginner-friendly group that ensures no one gets left behind. Afterwards, indulge with a post-ride breakfast at the Cycle Bistro. 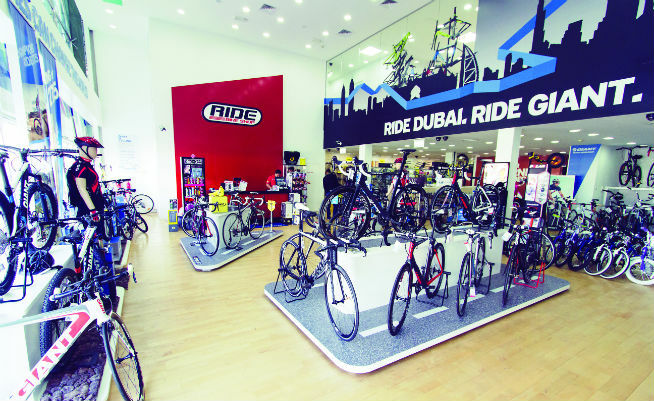 Another one of Dubai’s most well-established biking shops, Ride prides itself on the wide range of bikes, products and cycling wear on offer. 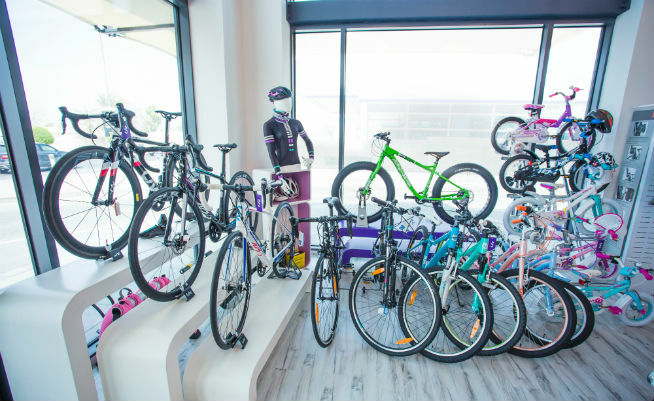 They stock an extensive range including Giant Bikes (which Liv bikes are the female division of), Cipollini, We The People BMX, as well as Shimano mountain bikes. Go here because: Ride Bike Shop has been here long enough to have a real insight into Dubai’s cycling community. The products are great and they also have a state-of-the-art workshop with fast and friendly service. There’s something for everyone at this warehouse-style store, from daredevil mountain bikers to road racers, as well as fixed gear bikes for urban cyclists. They carry Cube bikes from Germany, Commoncal rides from France and Italian brand Willier. Prices for road bikes start at Dhs6,000 and Dhs3,000 for mountain bikes. Go here because: If you’re not sure what you’re looking for, it’s a great place to get a look at a wide range of bikes. Plus, they have a workshop for repairs complete with waiting lounge. 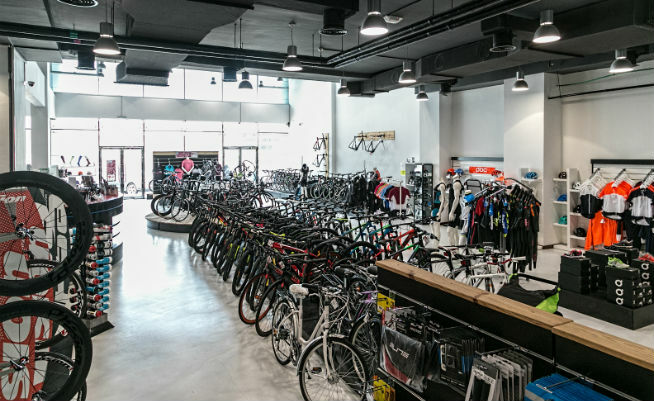 A small independent store in Al Barsha, Probike might not be as big as some of its rivals, but it’s definitely a case of quality over quantity. They stock a great range of bikes, activewear, accessories and nutrition products, with brands including Boardman, Silverback and Trek, and offer servicing and repairs. Go here because: Probike has built a loyal following thanks to its high-quality service and personal touch. If you’re not quite ready to commit to a new bike, but still want to get out on the road, you have some options. 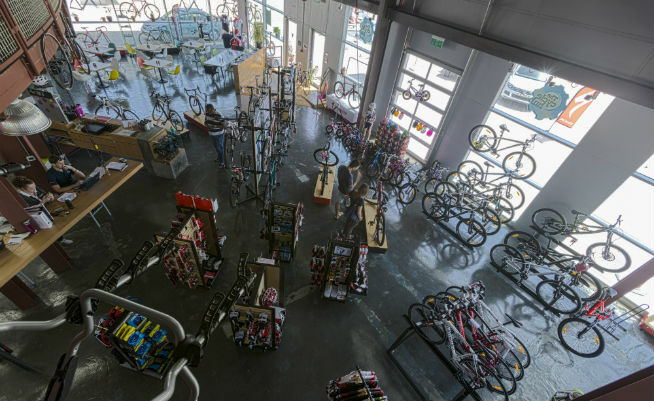 Along with a Sheikh Zayed Road branch that sells bikes, Trek rents bikes from a facility near the start of Al Qudra Cycle Track. Rental costs from Dhs50 an hour to Dhs90 for up to four hours. No deposit is required, although you will need your passport or ID. Rental includes a helmet and safety kit. If you’re itching to get out of the city, head to Showka in Ras Al Khaimah for some mountain biking. Showka Bicycles rent bikes for Dhs75 an hour or Dhs250 for four hours, which includes a helmet, gloves and other safety kit.